"To me, the hills are a landscape of brown on brown: hip-high, wind-blasted boulders Ã¢ÂÂ¦ To Adam, they are clues to millions of years of history." Since British explorer James Cook first circumnavigated Antarctica in the late eighteenth century, the white continent has exerted a powerful attraction. There is no permanent human habitation in this ice-bound wilderness, and no mercy from the raw, relentless elements, yet for nearly 200 years explorers and scientists from around the world have been drawn to work and sometimes risk their lives here. 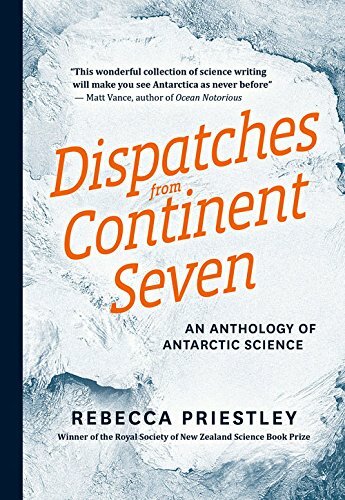 This landmark anthology brilliantly reveals the numerous scientific discoveries that have been made, from how sea creatures survive in the freezing waters, to the continentÃ¢ÂÂs extraordinary proliferation of meteorites, and the startling revelations of fossils, which show Antarctica was once covered in luxuriant forests teeming with creatures. More than an anthology, this book is a thrilling journey through time as explorers and scientists painstakingly unravel the profound mysteries of EarthÃ¢ÂÂs last great wilderness. About: "To me, the hills are a landscape of brown on brown: hip-high, wind-blasted boulders â¦ To Adam, they are clues to millions of years of history.